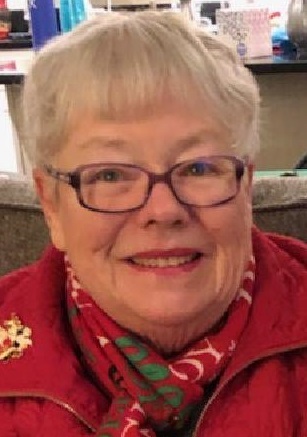 Rebecca “Becky” Gale Powel, 81, of Union Bridge, Maryland, passed away on Tuesday, February 12, 2019. Born May 16, 1937 in Chestertown and raised in Baltimore, MD, she was the daughter of the late Virginia Wood Gale and Thomas W. Gale. She was the wife of William R. Powel, the love of her life for 59 years. Becky was a 1955 graduate of Samuel Ready School of Baltimore and 1958 graduate of Union Memorial Hospital School of Nursing. During her 44 year career as a nurse, she worked at Union Memorial, St. Agnes, Kernan and Carroll Hospitals. At the end of her career, she owned her own medical and rehabilitation services business. She passionately advocated for the needs of her patients and clients. Becky was a member of the board of the Samuel Ready Scholarships and was passionate about providing educational opportunities to girls of great financial need in Baltimore. She was an active member of Pipe Creek Friends Meeting (Quakers) in Union Bridge. Becky was well known for her big heart, gregarious personality, and her unconditional love for her family and friends. She lived life to the fullest with joy and humor. She also liked to share her wisdom through her famous sayings, and will be deeply missed by all who knew and loved her. Surviving in addition to her husband are children, Virginia A. Powel, Thomas W. Powel (Kirstin), Anne Powel Davis (Lena Garrison), and Nancy R. Powel; grandchildren, Scott Davis (Sergio Sanguin), Sarah Davis, Elizabeth Davis, Benjamin Powel (Sara), Matthew Powel, Lilly Bay, and Laurel Bay; great-grandson, Linus William Powel; step-sisters, Jane Helweick (Henry), and Patricia Richardson. Becky donated her body to the MD State Anatomy Board for research and the education of medical students. A Memorial Service celebrating her life will be held at 2:00 p.m. on Saturday, March 23, 2019 in big Baker Chapel on the campus of McDaniel College, 2 College Hill, Westminster, MD 21157. The family will receive visitors from 1:00 p.m. until the time of service in big Baker Chapel and at a reception immediately following in McDaniel Lounge. In lieu of flowers, memorial contributions may be made to the Samuel Ready Scholarships, Inc., P.O. Box 202, Riderwood, MD 21139, or to Taylor’s Chapel c/o, Kristine Amendt, 16 Linden Way, Baltimore, MD 21236. Arrangements have been entrusted to the MYERS-DURBORAW FUNERAL HOME in Westminster.